Provide comfort for the family of William Lutz with a meaningful gesture of sympathy. Of Milwaukee WI was born to eternal life January 18 2019, age 85. Loyal husband of the late Patricia (nee Matyas) Lutz. Loving father of Bob (Cara) Lutz, Anne (Ron) Bullock, William (Jamie) Lutz, John (Nicole) Lutz, the late Michael Lutz, and Mary (Todd) Smolen. Devoted grandfather of Bobby, Brooke and Logan Lutz, Bryant, Brittany, Brett and Brendon Bullock, Billy Lutz, Jordan, Lillian and Jonathan “Jack” Lutz, Abby and Isabelle Lutz, and Jamie and Elizabeth Smolen, all of the surrounding Milwaukee area. Also survived by other relatives and friends. William “Senior” “Lefty” Lutz was born March 11, 1933 to a family of nine children. Bill was a product of the Lincoln High Shipbuilders where he went on to letter in football, basketball, and baseball. During his time at Lincoln high, Bill pitched the first no-hitter in school history. Graduating in 1951, Bill took most deeply to baseball and carved himself a niche in semi-pro baseball history. Following high school Bill played in the NSL for Manitowoc. Many professional scouts were after the “no hitter” Lefty during this time, although his US Army draft took precedence. He continued his pitching career on the US military team while serving for three years in Europe. Returning to the US in 1955, Bill continued to thrive - working and playing for over 30 years on one of the semi-premier teams: Falk Corp. Bill had a both a stellar work, and baseball career. Leading the league on the mound for many years. Senior was selected as MVP over 7 times. Bill did not leave baseball when his playing and managing days with Falk ended. He then went on to become a scout for the professional league working for the New York Mets from 1970 to 1978, and for the Baltimore Orioles from 1979 to 1984. For his efforts, which included pitching more no hitters in his career than Nolan Ryan, Bill was inducted into the Old Time Ballplayers Association of Wisconsin Hall of Fame. He was honored to throw the first ball out for the Milwaukee Brewers on September 11, 2005. When Bill considered his career in athletics, he credited his successes more to the people around him than to himself. Senior “Lefty” Lutz forever remained a sports lover, supporting all his children and grand-children in their sporting events and activities. Visitation will be Thursday January 24, 4-8 PM at Schramka-Borgwardt Funeral Home 11030 W. Forest Home Avenue, Hales Corners, WI. Vigil starts at 6:30PM. Visitation Friday January 25 from 9:30-10:30 AM at Blessed Sacrament Catholic Church, 3100 S. 41st Street, Milwaukee with a funeral mass at 10:30 AM. Burial to follow at Mount Olivet Cemetery. In lieu of flowers, memorials can be made to the family; as they will be allocated to the Milwaukee Angels Baseball Organization as a scholarship fund that will continue William’s legacy in a sport he loved. 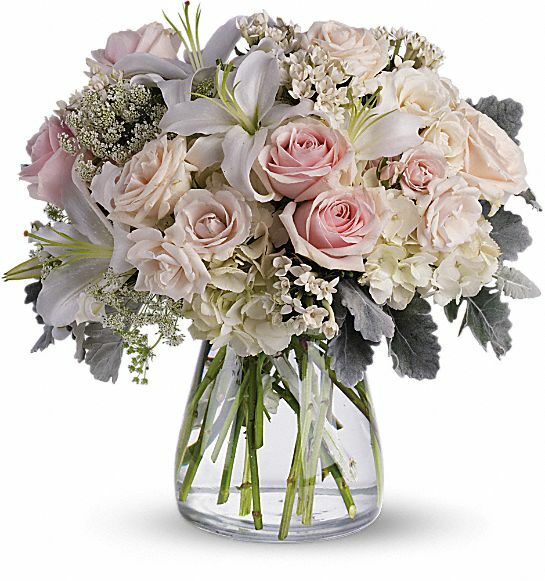 To send flowers in memory of William A. Lutz, please visit our Heartfelt Sympathies Store. Prayer Vigil at 6:30 pm. Tom, Tami & Grady Loper, Maryn, Jordan & Riley, and others have sent flowers to the family of William A. Lutz. Sending our prayers and condolences. Deepest Sympathies from the Loper Family. Tom, Tami & Grady Loper purchased flowers for the family of William Lutz. Maryn, Jordan & Riley purchased flowers for the family of William Lutz. Don & Wendy purchased flowers for the family of William Lutz.